Master Tung Kai Ying, a third generation T’ai Chi Ch’uan master, began studying T’ai Chi Ch’uan at the age of eight, in the Chinese traditional method of early childhood training. Fifty years ago Tung Kai Ying’s grandfather first established the Tung Ying Chieh T’ai Chi Ch’uan Gymnasium in Hong Kong. From there, branches of the Gymnasium were introduced throughout Southeast Asia. Under the guidance of his grandfather, Master Tung was dean and chief instructor in the Gymnasium. In 1962, he was invited to teach in Malaysia, Kuala Lumpur, and Singapore; later he taught in Bangkok, Thailand. Master Tung Kai Ying is held in great respect everywhere he has taught, due to his indefatigable earnestness in giving instruction. His students throughout Asia number in the thousands. At his best with the T’ai Chi sword, Master Tung has appeared at many festivals, demonstrating his unique posture and movements. One sees him stepping now to the left, now to the right forward and backward, his gleaming sword slicing the air with its razor edge. while his stance is solid and strong, his movements are light and graceful. Eyes flashing, precise steps dictate the flow of motion as his body turns in every direction. The waving sword, twirling in his hands, seems at once like the patter of rain, the darting of a swallow, or again, like a drifting cloud. Suddenly, it thrusts and strikes, swiftly and accurately, displaying a fascination and charm. In 1969; Master Tung Kai Ying went to Hawaii to assist his father, Master Tung Hu Ling, in teaching T’ai Chi Ch’uan. 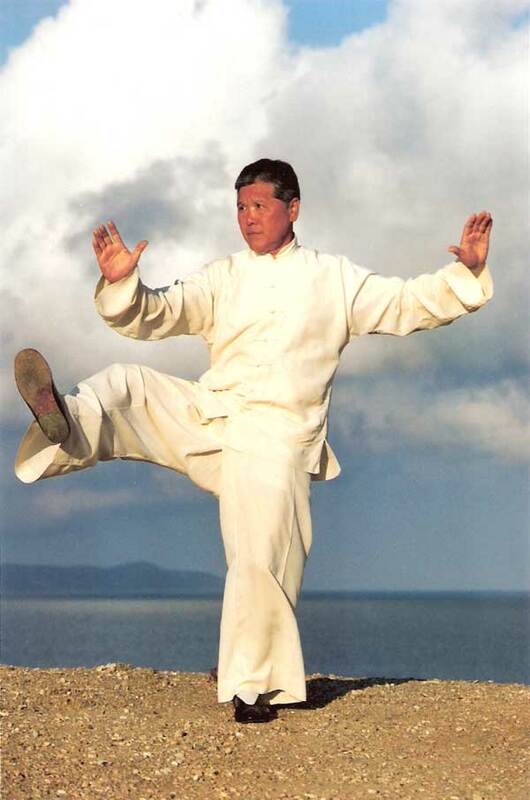 Subsequently, in 1971, Master Tung moved to Los Angeles where he established Kai Ying Tung’s Academy of T’ai Chi Ch’uan, where any willing and sincere student may receive instruction in this traditional Chinese martial art. In China, Master Tung’s birthplace, the Tung style of T’ai Chi Ch’uan is well known and has become popular throughout Asia owing to the eminence of his grandfather. Now, in accordance with his grandfather’s wishes, Master Tung is familiarizing the Western world with the many benefits of T’ai Chi Ch’uan. About T’ai Chi Ch’uan Master Tung says, “The goal is not to demonstrate strength, power or violence. The goal is to attain serenity, tranquility, and the discovery of oneself. It is truly an exercise of the spirit”. Copyright © 2019 Modesto Tai Chi Academy. Titan Theme by The Theme Foundry.